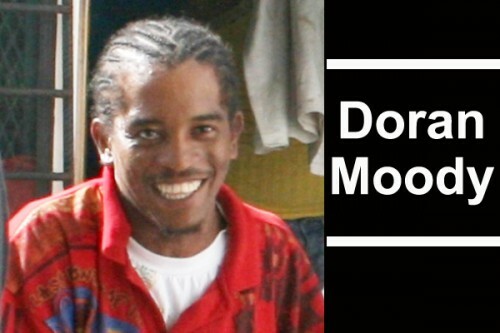 Doran Moody, 29, a farmer and resident of Biscayne Village, was today charged with attempted murder, use of deadly means of harm and grievous harm when he appeared before Magistrate Dale Cayetano. According to a report to police by Mark Davis, at 7:00 on New Year’s night, he was called to his sister’s house to try and quell a misunderstanding between his niece and her common-law husband, Moody. Davis reported that he went to the house on his bicycle and that was when he encountered Moody in the yard. He told Moody to leave the yard and as he, Moody, was leaving the yard, he grabbed a machete from the frame of Davis’ bike, which was parked by a mango tree. Davis said that he and his sister both started to run, but he fell and that was when Moody pounced on him and chopped him with his own machete. Davis sustained chop injuries to his left hand, the left side of his face and his left ear, which was almost severed. He said that the only reason his attacker didn’t kill him was because Moody’s brother put himself between Moody and him, Davis. Moody appeared unrepresented this morning, where no plea was taken from him, and neither was bail offered. He was remanded to the Hattieville Prison until his next court appearance scheduled for March 18, 2013.